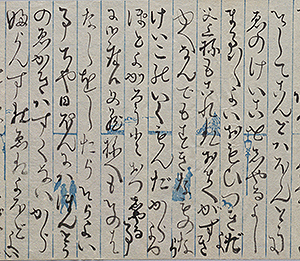 The Tokyo National Research Institute for Cultural Properties (TNRICP) possesses a number of letters addressed to Seiki Kuroda (1866-1924), a Western-style painter who contributed greatly to the foundation of the Institute. As these letters are important materials for understanding his human network, the Department of Art Research, Archives, and Information Systems has been working on their transcription and investigation. Among them, there are letters that were exchanged between Kuroda and his family. 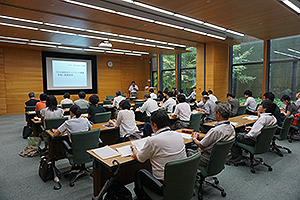 With the objective of also focusing on such communications with his family, Mr. Jun TANAKA, Research Assistant of the Department, gave a research presentation titled “Transcription and Bibliographical Introduction of Letters to Seiki Kuroda from His Foster Mother, Sadako Kuroda” at the Departmental seminar. Sadako Kuroda (1842-1904), the wife of Kiyotsuna Kuroda who adopted Seiki as his heir, raised Seiki from his infancy. The letters sent to Sadako from Seiki during his period of study in France had already been transcribed and published in “Diary of Seiki Kuroda” (Chuo Koron Art Publishing Corporation, 1966). 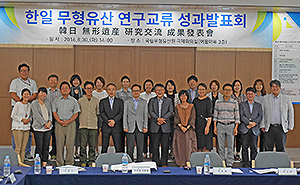 At this seminar, over 70 letters from Sadako to Seiki were introduced. As was the case with the letters from Seiki to Sadako, the letters from Sadako were also written in plain kana characters with colloquial expressions inserted here and there. The contents pertain mostly to family news, telling Seiki, who was studying abroad, the recent events of family members in detail and her husband Kiyotsuna’s intention. She thus seems to have been serving as a mediator between the father and the son. 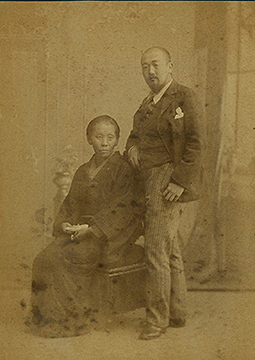 In particular, when Seiki, who had left for France to study law, decided to direct his efforts toward becoming a painter, it is worth noting that Sadako, together with Kiyotsuna, expressed her support by writing, “It’s a very, very good idea” in her letter dated July 9th, 1886. It would be no exaggeration to say that the painter Seiki Kuroda came into being thanks to such emotional support from his foster parents. This seminar has given us an opportunity to reaffirm the importance of family ties in Kuroda’s accomplishments as a painter. 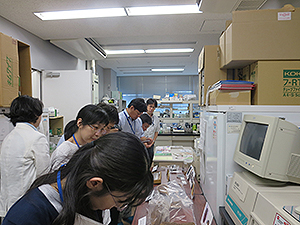 The Tokyo National Research Institute for Cultural Properties (Tobunken) has been conducting the project “Work on the investigation of the preservation measures for Kitora Tumulus, a special historic site” since 2004. As the mural paintings in the tumulus required conservation treatments, it was decided that they would be removed from the tumulus and currently conserved externally. Three types of conservation treatments were conducted: maintaining the mural paintings in the tumulus, removing the mural paintings from the tumulus stone, and reconstructing the mural painting fragments. The removal of the mural paintings had been conducted for over 6 years, and the paintings were separated into 1143 fragments. The paintings have been reconstructed in the restoration facility in Asuka-mura, Nara prefecture. 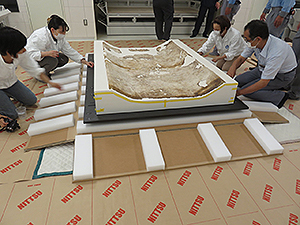 The Tobunken team has developed conservation techniques and performed experimental checks for this project, and the Association for the Conservation of National Treasures, an association of conservators for Japanese paintings, has applied the developed techniques. On August 24th and 25th, 2016, three reconstructed mural paintings, the south wall with suzaku, west wall with byakko, and the ceiling with an astronomical chart were moved from the restoration facility to “Shijin no yakata”. This museum opened on September 24th, and the three mural paintings was exhibited for a month.